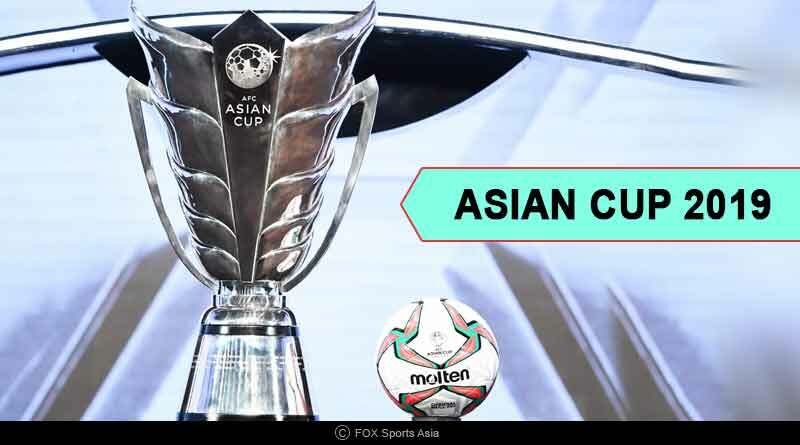 The much-awaited Asian Cup 2019 is finally upon us, bringing with it the 24 best sides in Asia who’ll be competing it out for a shot at the glistening, prestigious title of champions of Asia. The 2019 edition of the marquee tournament promises to be a bigger and grander than ever affair with it being the first time the tournament is being played with 24 teams up from 16. The expanding of the quadrennial tournament means that Philippines, Yemen and Kyrgyzstan will make their first appearance at the quadrennial exhibition event. The number of teams going up to eight is not just the only new development made to the tournament for the latest edition though. It will also see the introduction of VAR into the competition for the first time from the quarter-final stages, bringing into the event a technological advancement that has seen a positive reception from the entire footballing fraternity. The 17th edition of the tournament which will go on till February 1 will see a total of 51 matches being contested in the road to the final. Out of these, 36 will be played in the group stages itself that will be played out from 5th January to 17th January in a format that will see 16 teams progress to the ensuing round. The top 2 teams will qualify for the round of 16 while four third-placed teams will join them as well. The tournament was thrown open amidst a glistening and glamorous opening ceremony that was an extravagant affair, seeing 600 experts light up the stage. Spectators were treated to a breathtaking live show with a series of on-pitch music performances in a fitting tribute to the excellence of Asian football and the vibrant spirit, colour and atmosphere of the continent. 97th ranked India is placed 15th in the Asian Cup for what is their fourth time participating in the showpiece. The nation has been a part of the event on previous three occasions with a second-placed finish way back in 1964 ending up as their finest ever finish. Out of a total 10 matches the country has played in the cup, they’ve managed to win only 2, losing 7 and drawing 1, a record they’ll be looking to overturn this time Asian Cup 2019: Everything You Need To Know around. The country has been placed in Group A, this time around with Thailand, UAE and Bahrain. The tournament opener for the country will see them take on Thailand on January 6 at 7:00 pm IST before they face UAE (January 10) and Bahrain (January 14) in their remaining two matches. The build-up to the tournament saw India play out three international friendlies entering the tournament on the back of goal-less draws against China and Oman in the lead-up to the tournament. They were defeated 1-2 by Jordan in their last match of the tournament to bring an end to a 13-match unbeaten run in international friendly matches and the Intercontinental Cup at home last year. Forwards: Sumeet Passi, Balwant Singh, Sunil Chhetri (c), Jeje Lalpekhlua. Midfielders: Udanta Singh, Jackiechand Singh, Germanpreet Singh, Pronay Halder, Anirudh Thapa, Vinit Rai, Rowllin Borges, Ashique Kuruniyan, Halicharan Narzary. Defenders: Pritam Kotal, Sarthak Golui, Sandesh Jhingan, Anas Edathodika, Salam Ranjan Singh, Subhashish Bose, Narayan Das. Goalkeepers: Gurpreet Singh Sandhu, Vishal Kaith, Amrinder Singh.